Though the Uffizi Gallery in Florence is tiny compared to the Louvre or Metropolitan Museum of Art, it's so jam packed with treasures that it is a top destination for tourists in Florence. Works in the collection include pieces by Botticelli, Giotto, Leonardo, Michelangelo and Raphael to name a few. A huge spike in large tour groups from Russia and China have made the tiny, medieval city feel like it is busting at the seams. But the magic of Florence persists and no art lover could skip a visit to the Uffizi in good conscience. I spoke with Alexandra Lawrence, an American art historian and specialized tour guide who lives in Florence, Italy. Because I lived in Florence for a year, it's not very often that I take advice on this city that I love so dearly. However, after I stayed at Palazzo Belfiore on her recommendation, I knew her taste was impeccable. If you want to be sure to see all the Uffizi's greatest hits including works by Caravaggio, Michelangelo, Piero della Francesca and Titian, be prepared. With a well coordinated itinerary, you can see the Uffizi in two hours. If you prefer to wander, set aside 3 hours as there is much to discover. Knock back a cappuccino and be there when it opens at 8:15am or go during lunchtime. If you plan a shorter visit, go at 4pm as the museum closes at 6:50pm. Make a reservation. You will wait in line, but a far shorter one than if you just show up. Though the location is convenient, don't go the Terrace Café. A better choice is Ino on via dei Georgofili which has simple, but very good sandwiches. There isn't much seating so either go before the lunch rush begins (get there by 12pm) or after 2pm. The best place for lunch nearby is Del Fagioli on Corso Tintori, about a five minute walk from the Uffizi. If the line is too long, it's too hot outside or you've simply lost your patience, don't fret. Florence is stuffed with treasures in absolutely every single church and palazzo. Just a five minute walk from the Uffizi you can visit Santa Croce, sort of the Westminster Abbey of Florence, which holds the tombs of Michelangelo, Galileo and Machiavelli. You'll also find 14th century frescos by Giotto and the Cimabue crucifix famously damaged in the 1966 Florence flood. Florence is built on a medieval grid which sought to completely dominate nature. Given the lack of trees in the historic center and the fact that the city is in a valley, basically a bowl of heat, you may seriously crave an afternoon of good air conditioning. To escape the crowds and cool off, consider a visit to the Museo Bardini where you will find works by Donatello, medieval and Renaissance sculpture, painting, weapons and tapestries. It's only open Friday-Monday. Be sure to check the hours shortly before you go as things often change. Just across the Ponte Vecchio is the Pitti Palace where you should visit the Palatine Gallery. The paintings hang as though this were still a royal palace rather than a museum which makes it less popular with the tourists. (Also, most tourists are looking for the Boboli Gardens which are also accessed through the Pitti.) Inside the galleries you'll encounter extraordinary works by Raphael, Titian, Caravaggio, Artemisia Gentileschi, Rubens, Veronese and Murillo without big crowds. 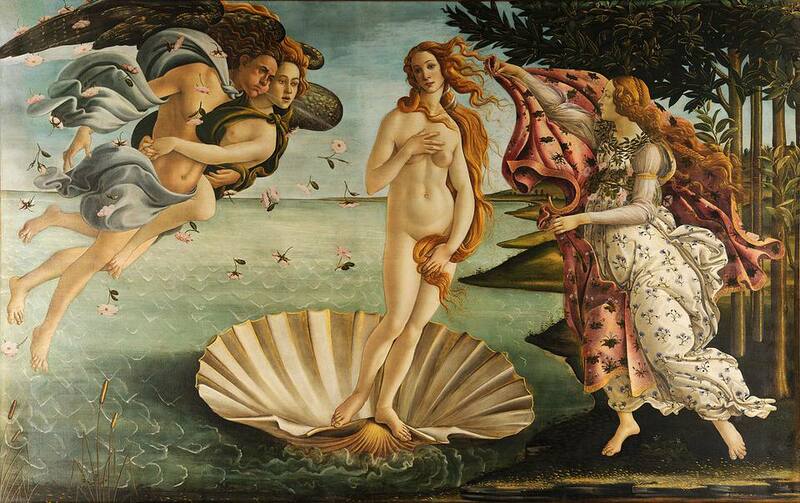 During the summer, the Uffizi usually stays open a couple of nights a week until 11pm. This is not well publicized and won't be announced until the last minute which means the tour companies won't have enough time to book large groups. For those who are traveling independently and can be flexible, this is a golden opportunity. To read more of Alexandra's tips for visiting museums in Florence, find her on Twitter @ItalyAlexandra.